This Casino has RV Parking on a Paved lot overlooking Trinidad Bay. Beautiful views and water bibs! No dump Station; but there is one at the first rest stop going north!. It is Free! You should register with Security (24 hour lighting and Lots of Security! ); join the players club and receive $10 Free play! 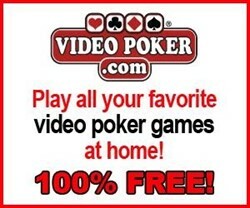 If you are there on Tue and Wed, you will each receive another $10 Free play. Soda, coffee and hot chocolate are Free 24/7. $1.99 Breakfast daily (no tax or tip needed). Casino is about a block down the hill from the RV lot. The shuttle driver was constantly asking us, if we wanted to ride; but we loved the walk :-)!You can walk south about .5 mile down to a beautiful secluded beach with many tide pools. (CAUTION: the paved road is quite narrow in places! )Trinidad and the Humbolt Lab Aquarium is Free and welcomes visitors (1.5 mile walk or take the shuttle - WE WALKED and saw so much more!). The new Museum is FREE and a MUST SEE! Katy’s Smokehouse is EXPENSIVE; however, you can buy a couple of ounces of fresh smoked Salmon for $10 and walk to the beach to eat it :-). Don't forget to see the light house and take a walk up the old lighthouse trail! Be "bold" and you will find many public access points to beaches along Stagecoach Drive. I submitted several Pictures of the RV Parking lot Experience. Blue lake Casino was bigger, more plush, looser slots; BUT.. no free drinks or cheap breakfast and the RV parking is a nice lot with NO view. It does have a Dump Station :-). We WILL definitely return; likely on Tue. & Wed.